Most people would probably look at this list and agree these are good things to think about. But what is actually meant by “true”, “honourable” or “pure”? ‘Positive thinking’ is a popular concept and many might be tempted to look at the list and think that Paul is simply endorsing the same idea. But what is deemed to be ‘positive’ or ‘negative’ can fluctuate frequently with culture (and often in our own thinking). To hang our thought life on the word ‘positive’ alone leaves us out at sea, tossed around by the waves of uncertainty. Thinking positively has almost become synonymous with focussing on ourselves, on what we want and what makes us feel good. We’re encouraged to visualise the money, achievement and status so many of us long for. ‘Be true to yourself’ or ‘live and let live’ have become guiding principles. But we do not live in isolation. Our actions have wide implications for many people. Focussing only on our own desires can be dangerous. On the other side disagreeing with or challenging another person’s ideals or standards will often be deemed intolerant and ‘negative’. But without critical thought, discernment will plummet. Without reasoned debate good ideas cannot be sharpened and bad ideas go unchallenged. Thinking about truth, honour, purity and justice is not the same as ‘positive thinking’ at least not in the way it is often promoted. There is certainly a time for thinking about what we would like to achieve and focussing on happy thoughts that make us feel good. But often our own goals and happy thoughts will not be enough to lift ourselves out of those miry pits that can hold our mental life captive. Some of us may suffer from certain anxieties, shame or past hurts that are difficult to shake. And when we are burdened by such things our failure to be able to think happy thoughts, and look forward to our goals, can cause us to feel even worse. At least, this has been my own experience. In the letter to the Philippians, Paul is not calling us to focus our thoughts inwardly on ourselves, chasing what feels good. He wants us to know peace and joy that surpass understanding and transcend our own circumstances. So we’re back to the question, what should we be thinking about? In John 14:6 Jesus says, “I am the way, the truth and the life, nobody comes to the Father except through me”. Jesus referred to himself as ‘the truth’. So when Paul says think about ‘whatever is true’ he is directing us to think about Jesus. What about the “honourable”, “just”, “pure”, “lovely”, “commendable”, “excellent” and “worthy of praise”? All these words describe the way Jesus conducted himself. He embodies them by any objective standard. Put simply, to think well is to think about Jesus. It almost sounds too simplistic but as we meditate on Jesus our minds are renewed in a powerful way. Fears and burdens lose their hold on us as we think about him. Jesus is unchanging and is the anchor that can hold us steady when life’s difficulties and trials assail us. Centering our thought life on him gives us stability, in good times and bad. I don’t know what fears, anxieties and thoughts trouble you. But whatever they are, when they come crashing down on you with all their debilitating force, call out to Jesus. Ask for his help to transform your mind, then use all your effort to focus on him. 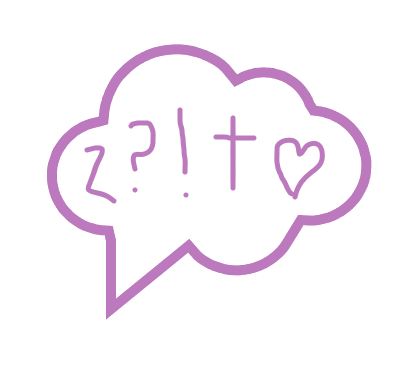 This post is part 2 of a series on our thought life. Click here to read part 1. If we are serious about wanting to improve our thought life it must be remembered that our minds do not operate in isolation. They are deeply and inextricably linked to our physical bodies and our spirit. Getting regular exercise and sufficient rest will help our mental well-being as well as eating healthily. One of my favourite ‘brain foods’ is porridge oats. In fact so obsessed with these cheap, filling and comforting grains am I, that at one stage when I was working and studying part-time I ate 2 bowls a day and was given the nick-name ‘porridge monster’ by a colleague! Oats are rich in B vitamins, a lack of which can result in poor concentration and memory, irritability and stress. My favourite ways to eat porridge are with chopped banana and a tablespoon of smooth peanut butter, or with a grated apple, walnuts, sultanas and a pinch of cinnamon. A handful of frozen berries is also a great and healthy way to cool down a bowl of porridge for an impatient toddler. 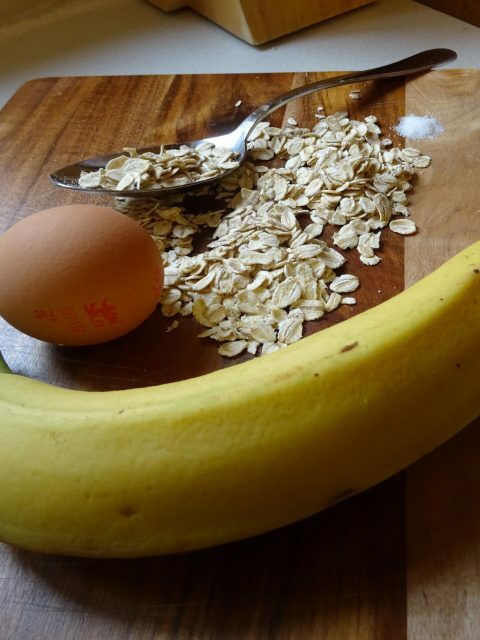 However, a family favourite in our house has got to be these easy-to-make banana and oat pancakes. Mash the bananas then whisk in the egg, oats and salt. Leave to absorb for a few minutes. Heat the butter on a low-medium heat in a large frying pan and ladle in the mixture making 3 small pancakes. When bubbles appear flip the pancakes over. Once the pancakes are cooked, about 5 minutes total, mix together the berries and yogurt and serve over the pancakes with a drizzle of maple syrup. Blueberries are another food well known for their positive impact on the brain. You can use fresh ones too but the juices from defrosted blueberries mixes nicely into the yogurt, colouring and flavouring it – plus they are cheaper! These are also nice served with plain yogurt or crème fraîche.